Stack your audacious style up to the highest heights wearing the + Melissa Luxury Shoes™ Vivienne Westwood® + Melissa Mule. Rubbed platform and block-style heel. 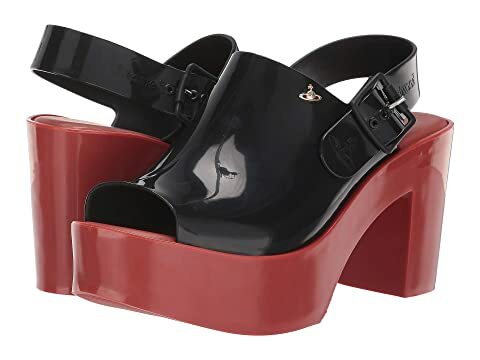 We can't currently find any similar items for the x Vivienne Westwood Anglomania Melissa Mule by + Melissa Luxury Shoes. Sorry!